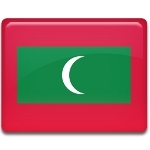 Victory Day is one of the public holidays in Maldives. It's annually celebrated on November 3 to commemorate the day when the Sri Lanka terrorist group made a coup to overthrow President Maumoon Abdul Gayoom. There were three coups attempting to overthrow Gayoom. The first two coups in 1980 and 1983 were not taken seriously, but the last one, that took place on November 3, 1988 drew international attention. The coup was staged by Abdullah Luthufi assisted by armed mercenaries from Sri Lanka. 80 armed mercenaries disguised as visitors landed in Maldives in November and joined the similar number of men, who had already infiltrated Malé, the capital of Maldives, earlier. The mercenaries gained control over the major buildings of the capital, but they failed to capture President Gayoom, who had fled to ask for military intervention from India, the United Kingdom and the USA. Only Indian Prime Minister immediately dispatched the Indian Air Force and the Indian Navy to restore the order. The paratroopers managed to do it just in several hours. The military actions in Maldives became known as Operation Cactus. Its successful conduction strengthened relations between India and Maldives and its anniversary is celebrated as Victory Day.